The image that is pictured below is an elegant large master bath, This is a step up bath surround by imported Travertine Tuscany tile. 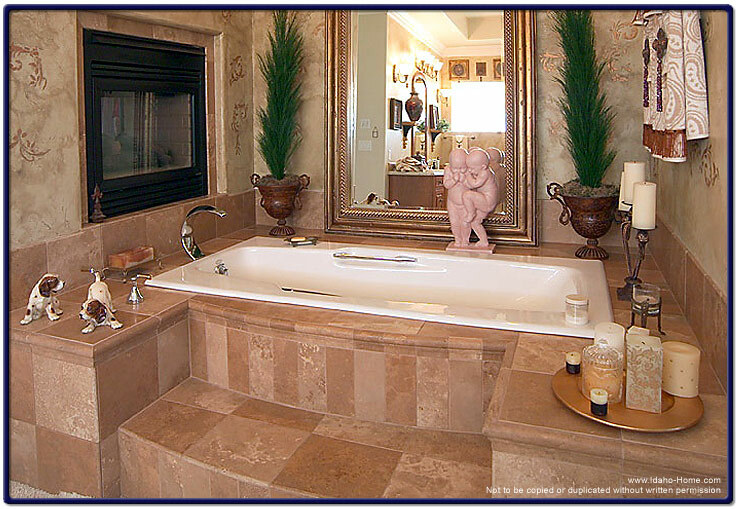 A fireplace is located above the bath, and to the left, a full view rectangular mirror is positioned in the center behind the tub. The master bath can easily fit two people, and can be a romantic setting even on the coldest nights.